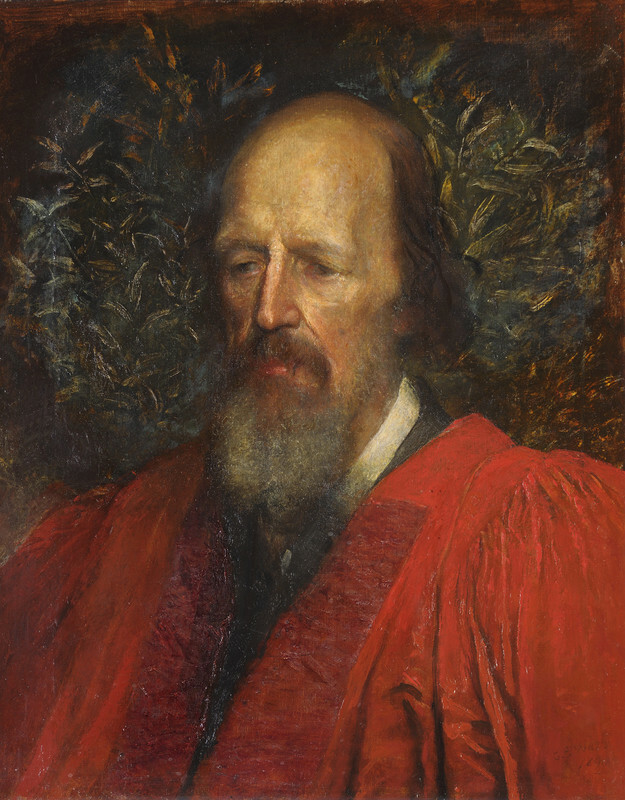 Alfred, Lord Tennyson (1809-92) was a student at Trinity between 1827 and 1831. 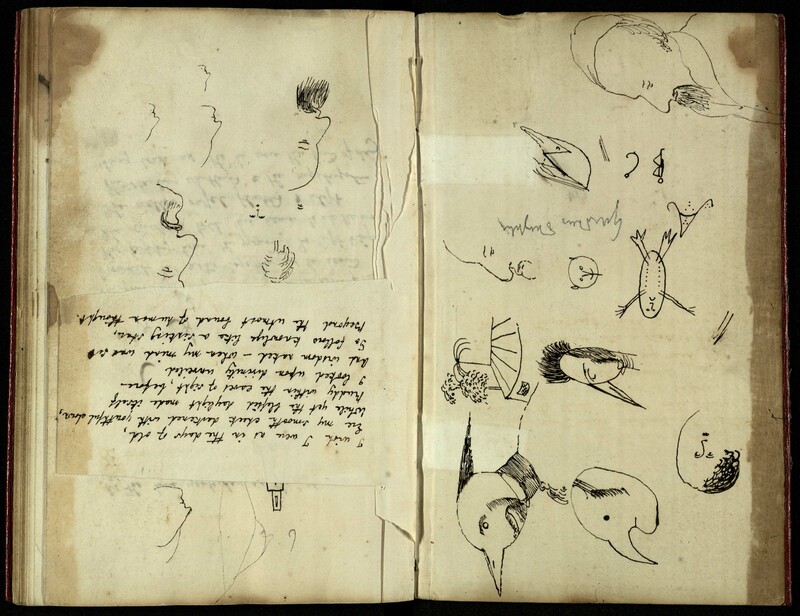 Some of his most important manuscripts, which are kept in the Wren Library, have been made available online via the Cambridge Digital Library. 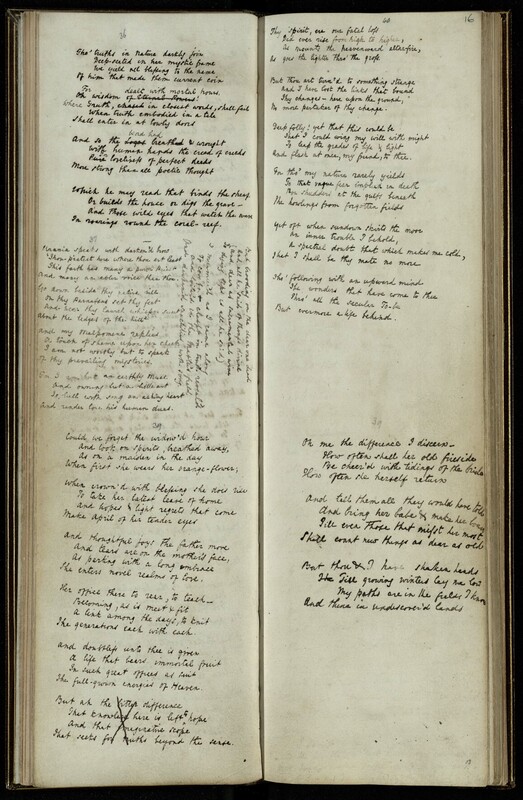 The collection includes the earliest extant full-scale draft of his best known poem, In Memoriam. This manuscript was a gift to the College in 1897 from Lady Simeon who had been given the manuscript by Tennyson himself in 1886. Later – in 1924 – the College’s collection was increased by a bequest from Tennyson’s son, Hallam which included many of his father’s notebooks. However the terms of this bequest limited access to the material: the manuscripts could not be published or used to provide variant readings and readers were only permitted to make short notes. The Library was, however, free to display the manuscripts. It was not until 1969 that the family agreed to lift the restrictions. The collection is of interest, not simply because it includes drafts of some of Tennyson’s most lyrical poetry, but because it also contains many sketches and doodles made by the poet. Together the words and images provide new opportunities for understanding his process of composition. The newly established Archive seeks eventually to bring together all Tennyson material into one centralised digital library. In a collaboration with our colleagues at the University Library, the manuscripts kept in the Wren Library are the first to be included.